All returns require preauthorization and must be accompanied by a Return Merchandise (RMA) form. RMA forms can be obtained by contacting a K&M sales representative at 800-201-2358. 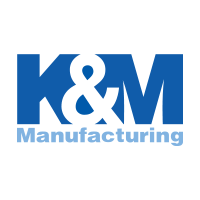 If you purchased directly from K&M, contact us at 800-201-2358 to begin the return process. If you purchased a product from a dealer, return the defective merchandise to them. If you purchased directly from K&M, contact us at 800-201-2358 to begin the return process. In some circumstances, warranty is longer than 1-year. Warranty for specified items will follow the manufacturer/supplier’s warranties for workmanship and material.